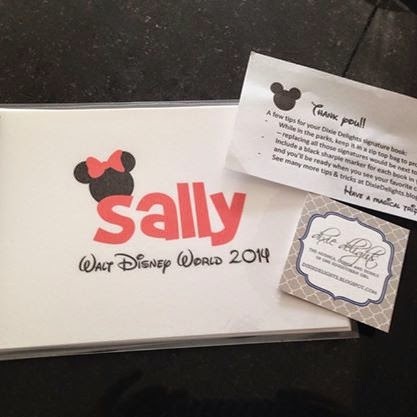 Being prepared for a day at Disney will make your life much easier. I like to carry a cross body bag and Joe usually either carries a backpack or we stow things under the stroller. Having a backpack allows you to pack some extra things. Here is my crossbody bag. It's from Lisa Lori Boutique and I love it! 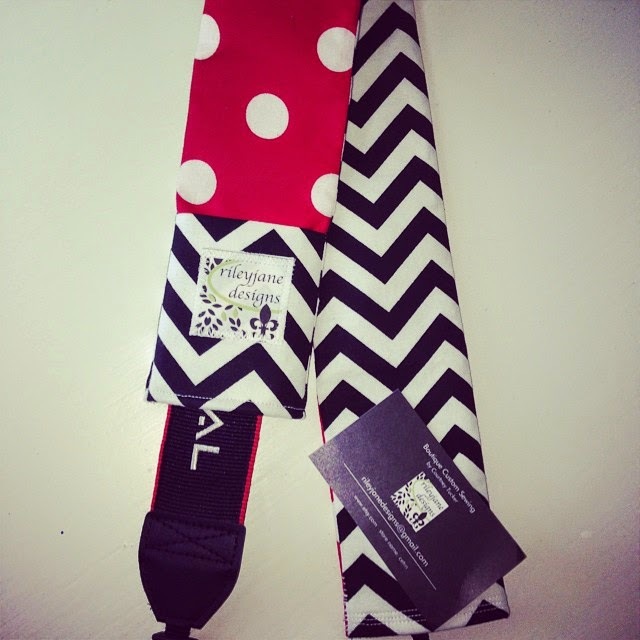 Not only is it super cute but it is reversible and washable too! 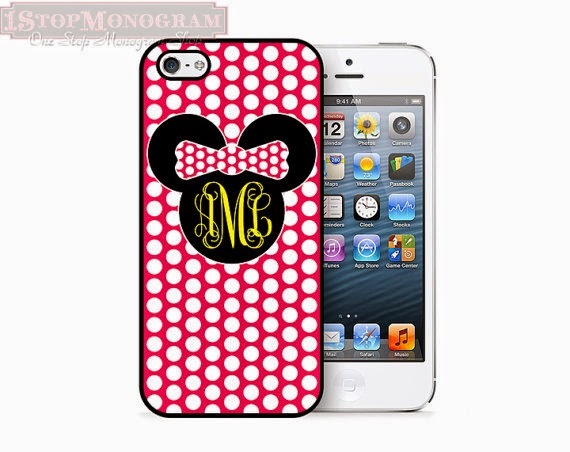 *My iphone with a super cute case by 1stopmonogram. *Pouch with quarters and pennies to make pressed pennies. This one is so cute and is from Early Bird Stitches. It also works as a small card holder and has a key ring on it. 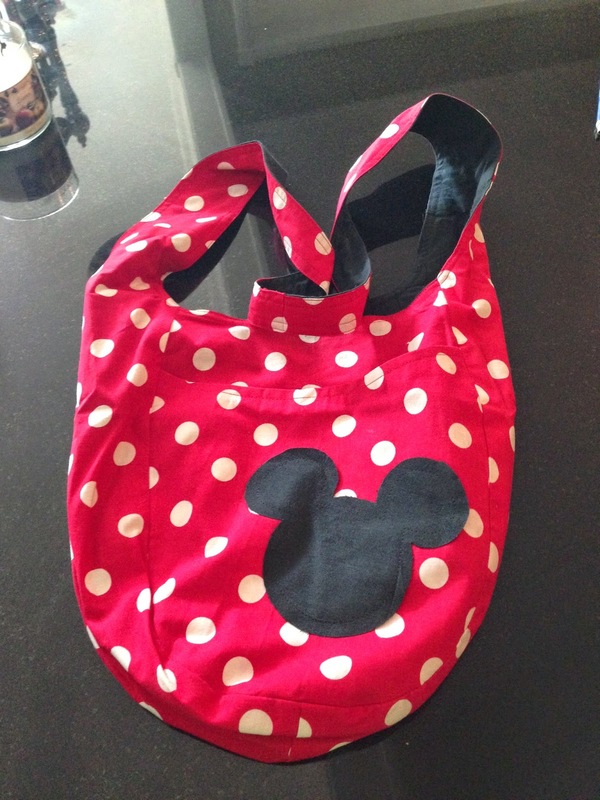 *Busy Bag-bubbles, play doh, little dolls, etc. to keep busy in line and waiting for food. I love this one from TheScarletThread1. I am also using it as a cosmetic bag for the trip down. Its so cute! 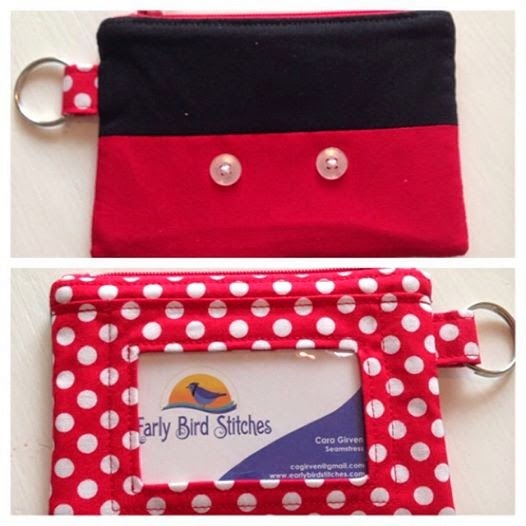 *Wristlet to hold some cash, Disney gift cards, stamps, ID, etc. 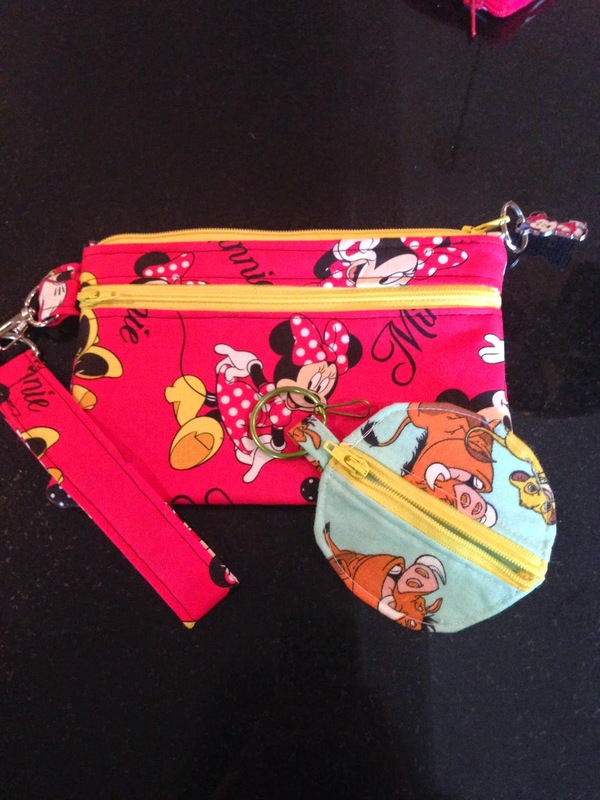 This one is from The Frozen Mouse and she even sent the cutest little case to hold ear buds. *My camera with the cutest camera strap by rileyjane designs. It is padded so it makes carry my camera cute and comfy. 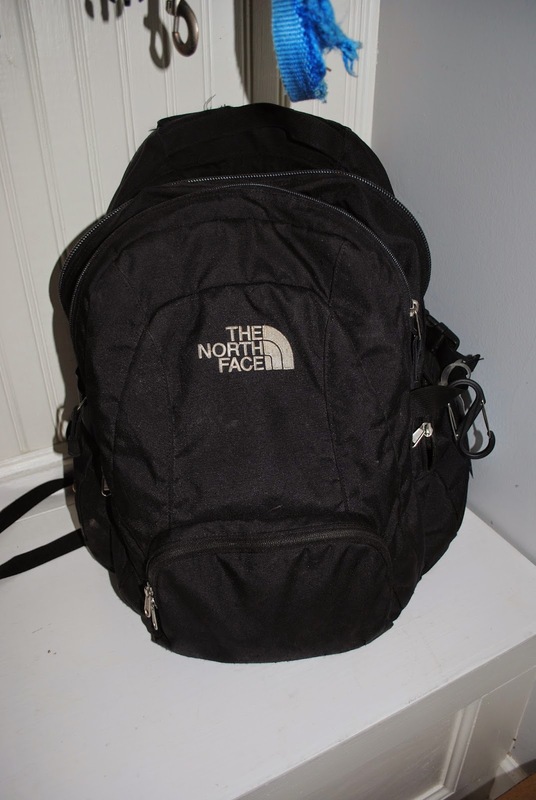 I bought this black Northface backpack before our honeymoon to Greece almost 9 years ago. It has been our go-to for traveling and has literally been all over the world. It's amazing quality and I love all the different pockets. It makes organizing a breeze. *Ponchos-Plan on it raining. Bring cheap ponchos from the $1 Tree...enough that you can throw them away after each use. *Sunscreen. We like to lube up in the hotel room and then reapply through the day. 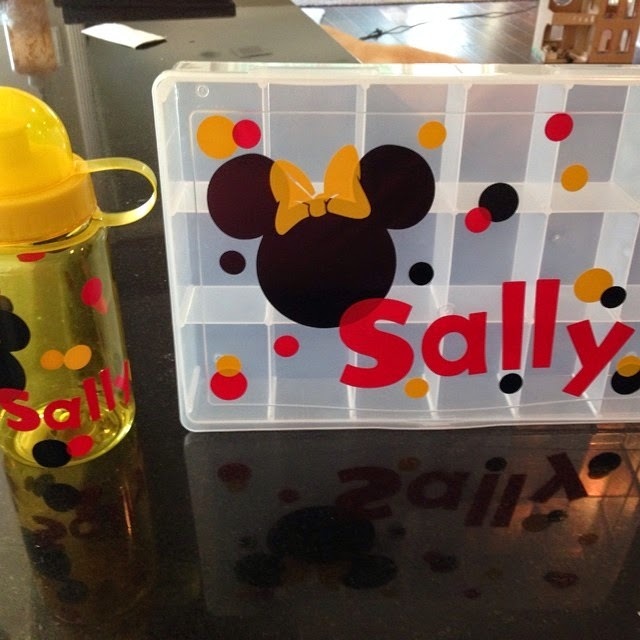 *Water Bottle and Snacks for Sally-I love this snack box and bottle set from TwoShareThoughts! We fill it with boxes of raisins, goldfish, fruit snacks, apple sauce pouches, nuts, pretzels, etc. We will fill up the water bottle throughout the day. *Chargers for camera and phones. I also have a battery pack for my phone. *Autograph book by Dixie Delights and sharpies. I cant wait to share this with you after we have it filled up. Not only do you get autographs in it, but its also a place to put photos...so its sorta like a little memory book. Love it! *First Aid Kit by McGLeeDesigns-chap stick, band aids, hand sanitizer, blister block, tylenol, etc. 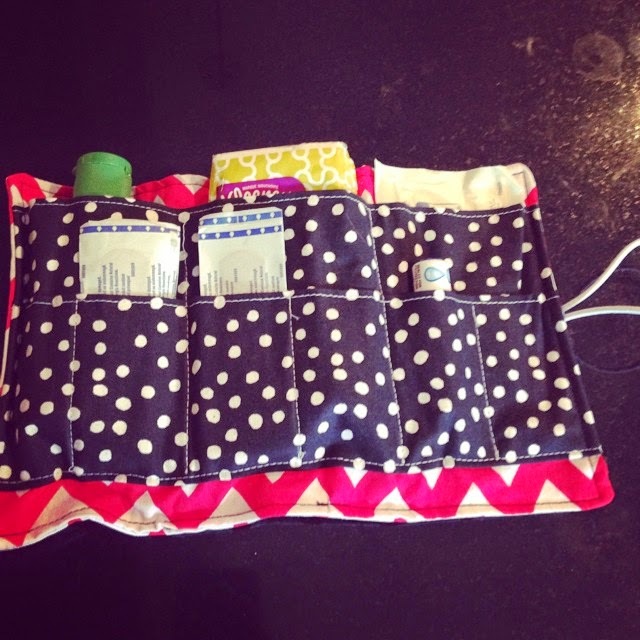 I love that this one is not only super cute but makes all my stuff organized. The seller was sweet and stocked it with some supplies for me. *Bibs- these disposable ones work great!